With tight schedules, events to catch, and life to live, we understand why cleaning is something you don’t often have the time for. Over time you risk losing the battle to dirt, grime, and unpleasant odours leading to your home deteriorating in value and appeal. However, you can still stack the odds in your favour with our One-off cleaning services. Whether it is one of cleaning, spring cleaning post winter, getting your home sparkling again in time for the arrival of guests/ an event, or a deep clean, our expert cleaners will delight themselves in making your property clean and fresh again in no time; you won’t have to wait for eternity to see the result. A mix of a professional house cleaning checklist, the latest cleaning equipment, and dedication to duty ensures every part of your house is not overlooked or avoided. From the living room, to the kitchen, bedrooms, and bathroom expect a sparkling end to the story. 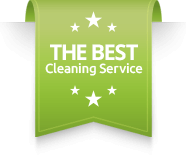 With our one-time cleaning services in Warrington, comes the opportunity to have your concerns heard by experienced and highly skilled cleaning experts followed by the use of proven techniques, products, and strategies to meet your desires. Save more, get more done. Our services are fairly priced and designed to suit your budget. Experienced, qualified, and highly skilled cleaners will get it clean for you quickly irrespective of the size and complexity of the task. Enjoy peace of mind with insured, licensed, and certified local One-off cleaners with a 100% track record of completing every assignment successfully. You get to choose the schedule thanks to flexible and customizable cleaning services that allow work to proceed as you desire. The staff are incredible. And the result is even more outstanding! You will quickly realize you made the right choice with a cleaner, fresher, and sparkling home to show off. Straightforward, hassle-free house cleaning- no hidden charges, no difficult paper works. Let’s face it, even if you regularly clean your house, a deep clean is still needed to remove dirt, grime, and other offending material from hard to reach areas only the trained eyes can catch and special equipment can catch. We will be standing by to discuss your needs and more importantly return your home to its shining glory; contact us now.